Sarah Walker's guests include tenor Mark Padmore, guitarist Morgan Szymanski, the Ceruleo Ensemble, and pianist Roman Rabinovich. Conductor: David Zinman. Orchestra: Baltimore Symphony Orchestra. Dance Mix: Baltimore Symphony Orchstra/Zinman. Performer: Amy Dickson. Orchestra: Aurora Orchestra. Conductor: Nicholas Collon. Orchestra: Staatskapelle Berlin. Conductor: Daniel Barenboim. 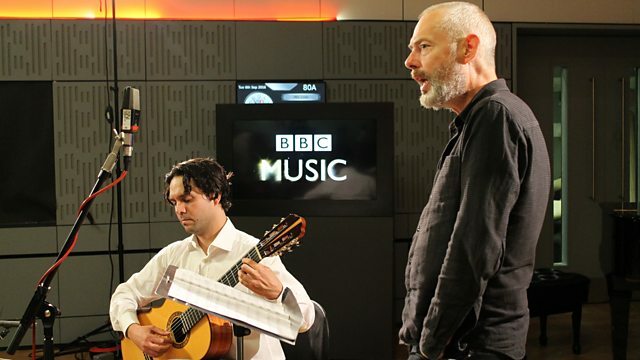 Performer: Mark Padmore (tenor). Performer: Morgan Szymanski (guitar). Conductor: James Levine. Orchestra: Chicago Symphony Orchestra. Holst: The Planets: Chicago Symphony Orchestra, Levine.